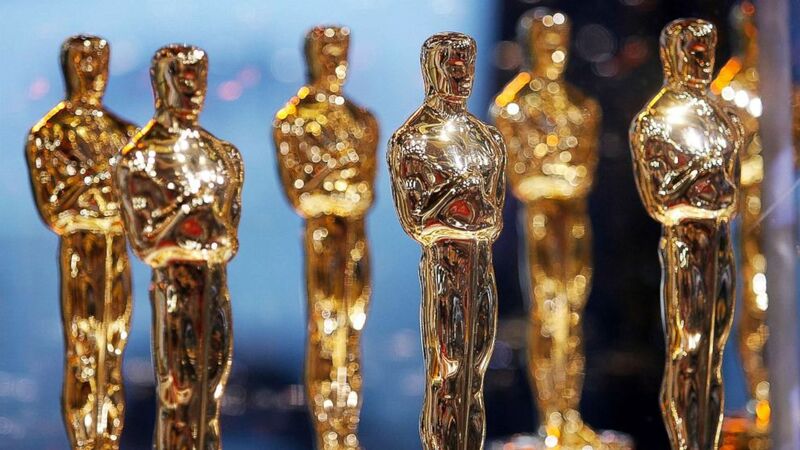 The 2019 Oscars are almost upon us and that means we are hours away from finding out what movies and stars will take home the Academy Award Sunday night. "GMA" spoke to freelance movie critic Candice Frederick and WABC's very own entertainment reporter Sandy Kenyon to get their expert picks on who they think should take home the coveted trophies. Some categories feel like they are a lock with Regina King in the best supporting actress category for "If Beale Street Could Talk" and "Roma's" Alfonso Cuaron in best directing. King took home the Golden Globe for best actress, while Cuaron not only directed his hit Netflix film, he helped with editing, cinematography and more. Then there's Glenn Close. As Kenyon pointed out, "There is no other living person that has been nominated this many times for an Oscar and hasn't won" and she is getting rave reviews for her role in "The Wife." Look for her to be giving another inspiring acceptance speech, much like she did earlier this year at the Globes. But there are also categories that are still up for debate. In best actor, Frederick thinks the winner should be "A Star Is Born's" Bradley Cooper, while Kenyon thinks it's the man with the most momentum, Rami Malek from "Bohemian Rhapsody." Kenyon also thinks Mahershala Ali for "Green Book" will take home best supporting actor, while Frederick believes the winner will be Sam Elliott. And last but not least, the biggest category of them all -- best picture. "The Favourite," "Roma," "Green Book" and "Black Panther" have all taken home awards this year. But at the end of the day, Kenyon and Frederick think it will be "Roma." Well, only time will tell! Frederick: "My personal thing is 'Roma' should take everything it's nominated for. I love 'Roma.'" She does think the category should have included "If Beale Street Could Talk" though. She would also be pleasantly surprised if "Black Panther" or "The Favourite" somehow wins best picture. But she thinks it's "Roma" this year. Kenyon: He has "Roma" and for good reason. Not only does he believe it's a beautiful film, the critic points out that Netflix is spending millions on their Oscar campaign, really pushing to win this prestigious award. "'Roma,' I thought was an incredible experience for me," he added. "It took me in, it drew me in and to me, it's magnificent." He also thinks "Green Book" has a shot if the Academy voters want to "spread the wealth," especially after Alfonso Cuaron will most likely win for best director. Frederick: "I love Regina King. She's just the bee's knees and has been for so long." Kenyon: Regina King for "If Beale Street Could Talk." "Regina King has also won Emmys, again it's the speeches," he said of her powerful speech from the Golden Globes. "She's definitely of the moment." Frederick: "Mahershala Ali is just so great and has been for a long time." Frederick still has numerous issues with "Green Book," but says that Ali's performance is the needle in the haystack of that movie and buried in a film that she doesn't believe deserves to be in the Oscars conversation. But as for her winner for best supporting, "Sam Elliott would be my pic for best supporting actor. He is the quiet, vulnerable force of 'A Star is Born.'" Frederick: "I maintained this for months that Bradley Cooper was the best lead actor performance that I saw all of last year ... There is a blur between who is Bradley Cooper and who is Jackson Maine in 'A Star Is Born.' I think he blows everybody out the water." Kenyon: Rami Malek is someone who has become a lock, he said. "The Oscar loves transformation," he added. He added that he originally thought Bale could win, but Malek has just been winning almost every award. Frederick: "I love Yalitza Aparicio in "Roma," she is just a revelation. I can't even believe this is her first film. She carries the film ... But I think Glenn Close deserves this win for 'The Wife.' Her performance is restrained yet powerful." Kenyon: "This is gonna be a quick one I think, because it is a lock," he said of Glenn Close. "There is no other living person that has been nominated this many times for an Oscar and hasn't won." Kenyon: Alfonso Cuaron for "Roma." "He's the prohibited favorite," he said of Cuaron. The 2019 Oscars take place Sunday at 8 p.m. on ABC.